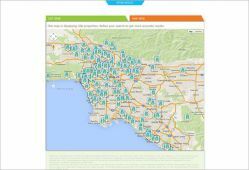 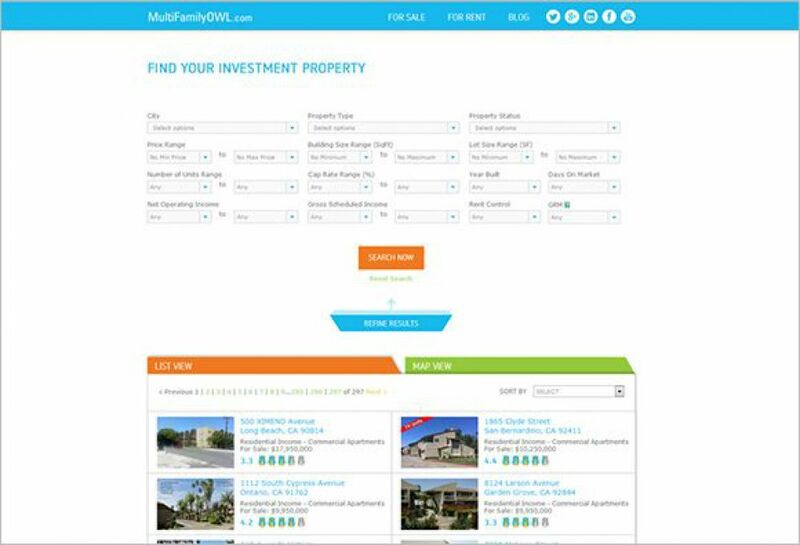 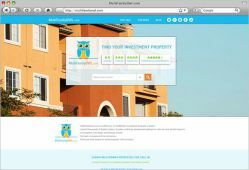 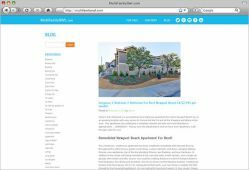 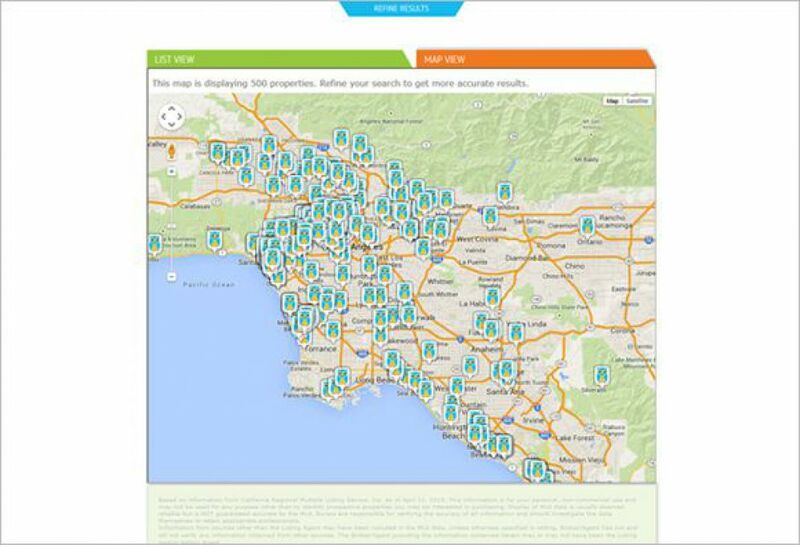 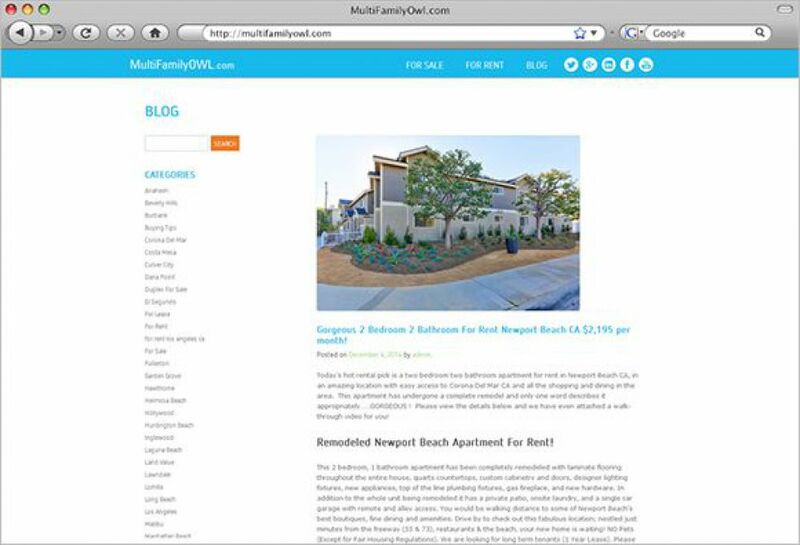 MultiFamilyOwl.com is California's #1 multifamily investor buyer website. 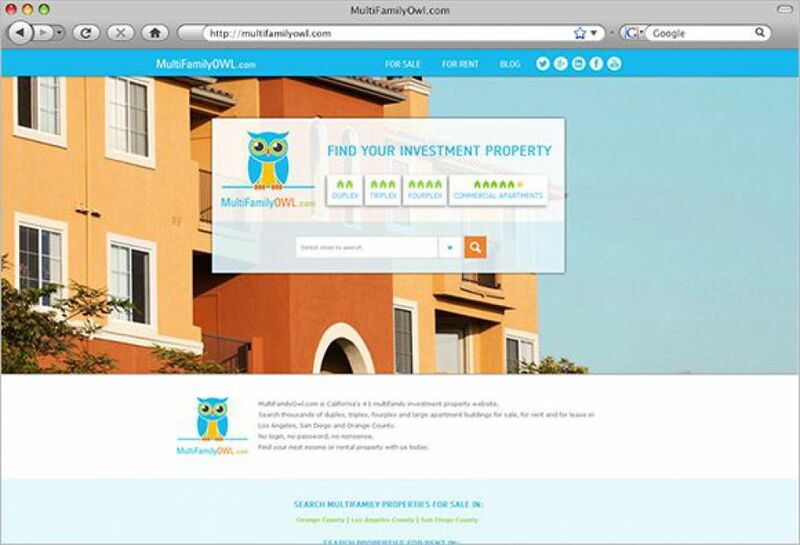 The team at Multifamily Owl hired SM Sold to provide a dynamic automated website to keep investors informed on the latest Multifamily market drivers. 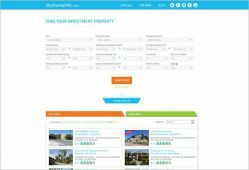 Search thousands of duplex, triplex, fourplex and large apartment buildings for sale, for rent and for lease in Los Angeles, San Diego and Orange County. 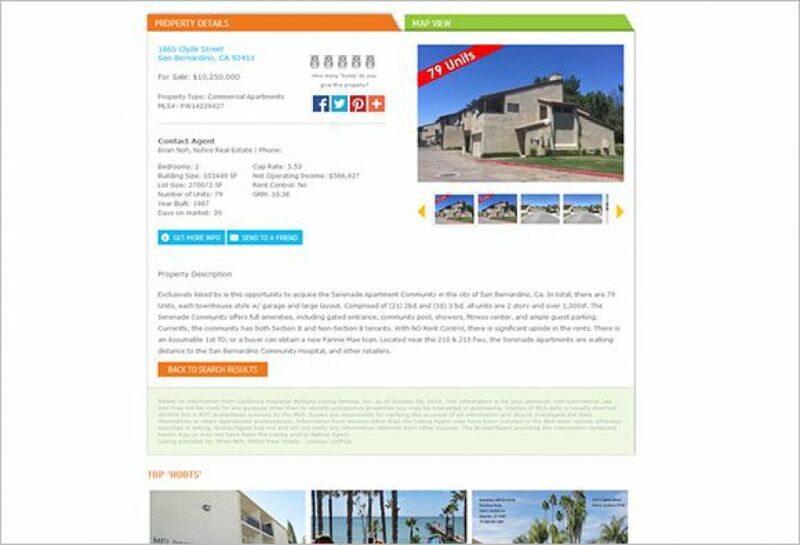 Leads are plentiful for the Broker of record.